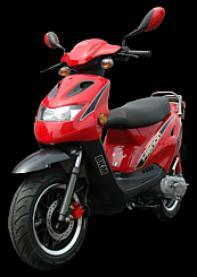 BKM Xenon scooter on special now only $1349! BKM 50cc scooters give you the most bang for your buck. 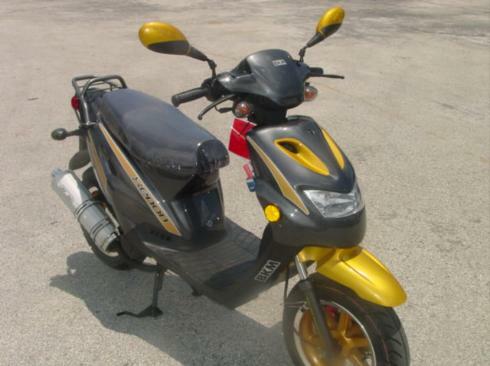 The BKM Xenon scooter is just like the Vento Triton, but costs about $300 less. - Best quality and price! can get you up to 50 mph. 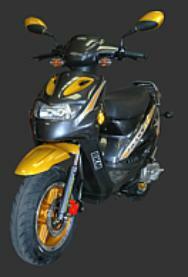 With the BKM Xenon you get the performance you always wanted in a gas powered scooter. BKM 2 stroke scooters are made by QJ just like Vento scooters so you can expect quality. passenger and a long comfortable seat. worry, since the BKM Xenon also has a regular kick start system in place. and you experience the freedom of riding a two wheeler. Yours for only $1349! Includes free shipping to your home. 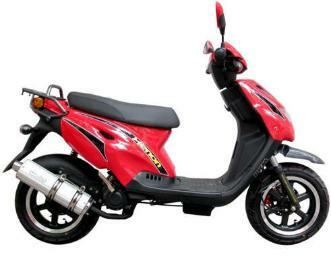 The new BKM Xenon scooter is available in red and black (below) or gold and black (as above). 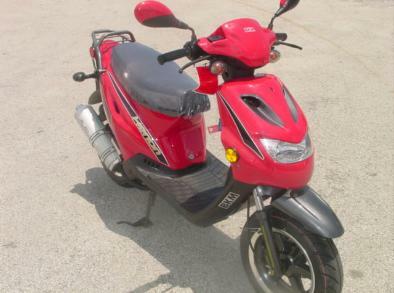 The sporty, yet elegant, look of this agile gas powered scooter will be the talk of the town. Remember to always wear your helmet when riding your motorized scooter. Gas scooters are a fun way to get around but only if you play it safe. Please note: The Xenon is about the same size as the Vento Triton and is made by the same company.